Home › 5 (2017) 13 › How Should The History of One’s Own Country Be Taught? In Switzerland, we can observe great differences in how teachers deal with the history of their own country in the classroom. Some of them impart the national master narrative and, thus, put into practice what conservative politicians demand in order to build a national identity. Others present counter-narratives that have been developed by historians over the last few years and thereby aim at strengthening critical historical thinking. But many teachers do not care at all about “big narratives” and interpretive survey narrations, so they choose attractive episodes from public history that they assume will interest the students. Public History as the “Royal Road”? Public history in Switzerland offers lots of exciting material exactly on the history of one’s own country. There are, for example, comics that are drawn on the occasion of anniversaries, in particular, and convey history in a personalized form. Students like reading them because they illustrate the past very well through many images and little text. Even more popular with the learners are movies in which individual episodes from the history of their own country are staged skillfully and at great expense. These are attractive learning opportunities for teachers, especially when teaching/learning materials are additionally available, as is the case increasingly often. The “what” seems to be of rather minor priority for them – the “how” is important and it needs to be fascinating. This is why the new Virtual Reality applications are so popular: for example, students click on the application about the ”Rütli”, the mythical birthplace of the Swiss Confederation, then put on their simple Virtual Reality glasses, made out of cardboard, insert their smartphone into the slot of the glasses and, in a split second, they are (virtually) on the ”Rütli” and explore the place, which was filmed with a rotating 360-degree camera and is available in the classroom for a Virtual Reality transmission session. Smartphones are, in general, good door-openers for public history because there are already many learning scenarios available that allow making attractive journeys into the history of one’s own country without having to deal with a narrative. Thus, many students at the secondary school level become very enthusiastic about “Zeitmaschine.TV” (Time Machine.TV) : After a few preparatory lessons and some interview training, they visit, for example, a retirement home and in groups of two they interview an elderly person about his/her school time, recreational pleasures, first employment, but also about memories of the Cold War or the oil crisis. In these conversations with contemporary witnesses, which the students record with their smartphones, the learners acquire much knowledge about everyday history and recognize how much life has changed over the last few decades. The students like dealing with history in such a way and it impresses them. After the conversation in the retirement home, they cut their recordings with the “Z-Moviemaker” software, which was especially developed for this learning setting, so that they are converted into a short audio track. Then they again visit their interview partner, take photos or videos of him/her with their smartphone, add appropriate photos and small film clips to their already cut sound track and, thus, develop an audio-visual testimony which, after further editing, will be published on the internet. In public clip shows, these films are shown to contemporary witnesses, schoolmates, parents, and other interested circles. Many a contemporary witness thereby happens to see a website for the first time ever. When teachers give reasons why they teach the history of their own country episodically and backed up with public history, they produce quite a variety of arguments. Some want to develop skills in dealing with contemporary witnesses, whilst others underline media education: They think that the students will, in this way, learn how to make good use of their smartphone for interviews with contemporary witnesses, as well as for producing short films. They also mention the didactic principle of narrativity: What is important is, in fact, that the students themselves have the opportunity to narrate, an activity that is put into practice ideally with these short films. Still others find student orientation crucial: It is seldom possible to teach topics in history lessons that directly concern the students’ lives. Teachers emphasize that, actually, the most important thing is that the learners discover interest in the topics. This works best with the thematization of regional, everyday culture relevant to the present; as it were, with “local lore”, as it was aptly called in the olden days. Renaissance of “Local Lore” in the Classroom? And indeed: Exactly when the history of one’s own country is being conveyed, questions and topics are dealt with which, in the olden days, were part of the school subject “local lore” in Switzerland and which, these days, play an important role in sciences such as ethnology or heritage education. First of all, local lore deals with cultural phenomena of material culture: old objects, working tools, clothes, food, songs, historical monuments, etc. Secondly, it targets phenomena of the social environment: one’s own schoolhouse, one’s own community, the surroundings and changing landscapes, folktales and myths of the region, customs, holidays, and the people who inhabit the area now and those who inhabited it in earlier times and now live in retirement homes. And, thirdly, it is about the students’ own activities: they should learn by acting themselves and gain beliefs by going their own ways. And where does this leave contextualization? Do students still build a narrative about the history of their own country at all? If yes: what country do they consider their “own”, and what narrative do they build? If no, is this bad or good? And what contributions do such learning scenarios make to individual or social identity and to critical historical thinking ? Finally: How are issues dealt with in a country that is considered to be delicate? Despite many substantial studies and convincing theoretical contributions – especially in Public History Weekly, for example, from Stéphane Lévesque – we still do not have enough insight into what happens exactly when the history of one’s own country is taught in the classroom and what effects these events have on the persons involved and on society. It is thus time to do more intensive research in this field – particularly also in view of the rise of nationalism in Europe and the rest of the world. Carretero, Mario, Mikel Asensio and Maria Rodriguez-Moneo (eds. ), History Education and the Construction of National Identities (Charlotte NC: Information Age Publishing, 2012). Terry Haydn, “History in Schools and the Problem of The Nation,” Education sciences 2 (2012): 276-289, accessed 15 March 2017, doi:10.3390/educsci2040276 . van Alphen Floor and Mario Carretero, “The Construction of the Relation Between National Past and present in the Appropriation of Historical Master Narratives,” Integrative Psychological Behaviour , 49 (2015): 512-530. Website of the oral history project with smartphone or tablet computer described in the article: www.zeitmaschine.tv (last accessed 15 March 2017). An application example of Augmented Reality: http://www.digitalbuzzblog.com/union-station-augmented-reality-living-history-tours-app/ (last accessed 15 March 2017). On the structure of the classical master narrative in Switzerland, see: Markus Furrer, Die Nation im Schulbuch – zwischen Überhöhung und Verdrängung. Leitbilder der Schweizer Nationalgeschichte in Schweizer Geschichtslehrmitteln der Nachkriegszeit und Gegenwart (Hannover: Verlag Hahnsche Buchhandlung, 2004). On narratives of national historiography and the construction of remembrance, see: Franziska Metzger,Geschichtsschreibung und Geschichtsdenken im 19. und 20. Jahrhundert (Bern / Stuttgart / Wien: Haupt, utb, 2011). On the change of the Swiss narrative, see: Markus Furrer, “Die Schweiz erzählen – Europa erzählen – die Welt erzählen …: Wandel und Funktion von Narrativen in Schweizer Geschichtslehrmitteln,” Schweizerische Zeitschrift für Geschichte (1) 2009, p. 56-77. Cf. also: Guy P. Marchal, Schweizer Gebrauchsgeschichte. Geschichtsbilder, Mythenbildung und nationale Identität (Basel: Schwabe Verlag, 2006). Or more recent: Thomas Maissen, Schweizer Heldengeschichten – und was dahintersteckt (Baden: hier und jetzt, 2015). Here a number of comics could be listed. This is exemplified by: Martin Weiss, Rolf Willi, Die Munggenstalder und der Klostersturm. Schweizer Geschichte(n) Volume 1 (Zürich: orell füssli Verlag, 2015). Mariann Wenger, Bruder Klaus – Eine erstaunliche Geschichte aus dem Mittelalter (Gonten / Appenzell: Canisi Edition, 2016). Also here there many examples, only already of c-films: https://www.c-films.com/ (last accessed 15 March 2017). Cf. for example the teaching materials on “Akte Grüninger. Die Geschichte eines Grenzgängers“: http://grueninger-film.com/schulmaterial/ (last accessed 15 March 2017). http://www.zeitmaschine.tv (last accessed 15 March 2017). Cf. also e.g. : Stefanie Samida, “Materielle Kultur – und dann? 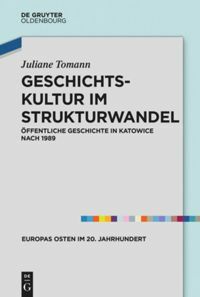 Kulturwissenschaftliche Anmerkungen zu einem aktuellen Trend in der Zeitgeschichtsforschung,” Zeithistorische Forschungen/Studies in Contemporary History, Online edition, 13 (2016) 3, URL: http://www.zeithistorische-forschungen.de/3-2016/id=5406 , Druckausgabe: p. 506-514. Cf. e.g. Carla L. Peck, “Peering through a kaleidoscope: Identity, historical understanding and citizenship in Canada”, Citizenship Teaching and Learning, 5 (2), 2009, 1-15. Or: Floor van Alphen,Mario Carretero: The Construction of the Relation Between National Past and present in the Appropriation of Historical Master Narratives. In: Integrative Psychological Behaviour, 49 (2015), 512-530. Levesque, Stéphane: “Should History Promote National Identification?”, Public History Weekly 5 (2017) 10, DOI: dx.doi.org/10.1515/phw-2017-8533. See also: Gautschi, Peter: “Der Einbürgerungstest. Geschichte als Eintrittskarte?”, Public History Weekly 2 (2014) 27, DOI: dx.doi.org/10.1515/phw-2014-2345. Gautschi,Peter: How Should the History of One’s Own Country Be Taught? In: Public History Weekly 5 (2017) 13 Issue, DOI: dx.doi.org/10.1515/phw-2017-8987. In der Schweiz beobachten wir eine grosse Vielfalt, wie LehrerInnen die Geschichte des eigenen Landes im Unterricht thematisieren. Die einen vermitteln das nationale Masternarrativ und setzen damit das um, was konservative Politiker fordern, um nationale Identität aufzubauen. Die andern präsentieren Gegennarrative, die durch die Geschichtswissenschaft in den letzten Jahren entwickelt wurden, und wollen damit kritisches historisches Denken ausbilden. Viele LehrerInnen aber kümmern sich gar nicht um “grosse Narrative” und deutende Überblickserzählungen, sondern sie wählen aus der Public History attraktive Episoden aus, von denen sie annehmen, dass sie die SchülerInnen interessieren. Gerade zur Geschichte des eigenen Landes bietet Public History in der Schweiz viel Spannendes an. Da sind zum Beispiel die Comics, die insbesondere zu Jubiläen entstehen und Personalisierung umsetzen. Die schauen sich die SchülerInnen gerne an, weil Vergangenheit mit wenig Text und vielen Bildern anschaulich wird. Noch beliebter sind bei den Lernenden die Spielfilme, die einzelne Episoden aus der Geschichte des eigenen Landes gekonnt und mit viel Aufwand in Szene setzen. Für LehrerInnen sind dies vor allem dann attraktive Lernangebote, wenn dazu noch Lehr-Lern-Materialien zur Verfügung stehen, was immer häufiger der Fall ist. Ihnen scheint das “Was?” eher nebensächlich zu sein – es geht um das “Wie?”, das faszinieren muss. Deshalb sind die neuen Virtual-Reality-Anwendungen so beliebt: Die SchülerInnen öffnen künftig auf ihrem Smartphone beispielsweise die entsprechende Anwendung zum Rütli, dem mythischen Geburtsort der Eidgenossenschaft, setzen dann ihre einfachen Virtual-Reality-Brillen aus Karton auf, stecken ihr Smartphone auf die Brille – und schon sind sie (virtuell) auf dem Rütli und erkunden diesen Ort, der mit einer 360-Grad-Kamera aufgenommen wurde und jetzt für die Virtual-Reality-Vermittlung im Klassenzimmer zur Verfügung steht. Überhaupt sind die Smartphones der SchülerInnen gute Türöffner zu Public History, weil es bereits viele Lernszenarien gibt, die attraktive Reisen in die Geschichte des eigenen Landes ermöglichen, ohne dass man sich mit einem Narrativ herumschlagen muss. So begeistert “Zeitmaschine.TV” viele SchülerInnen der Sekundarstufen: Nach einigen Vorbereitungslektionen und einem Interviewtraining besuchen sie zum Beispiel ein Seniorenheim und befragen in Zweiergruppen einen älteren Menschen zu seiner Schulzeit, den Freizeitvergnügen, der ersten Erwerbstätigkeit, aber auch nach den Erinnerungen zum Kalten Krieg oder zum Ölschock. In diesen Gesprächen mit Zeitzeugen, die die SchülerInnen mit ihren Smartphones aufzeichnen, erfahren die Lernenden viel zur Alltagsgeschichte und erkennen, wie stark sich das Leben in den letzten Jahrzehnten verändert hat. Ein solcher Umgang mit Geschichte gefällt ihnen und macht ihnen Eindruck. Anschließend an das Gespräch im Seniorenheim schneiden die SchülerInnen ihre Aufzeichnungen mit der speziell für dieses Lernsetting entwickelten Software “Z-moviemaker” zu einem kurzen Hörstück. Damit gehen sie noch einmal zu ihrem Gesprächspartner, fotografieren oder filmen mit ihrem Smartphone, ordnen ihrer bereits geschnittenen Tonspur passende Bilder und kleine Filmclips zu und entwickeln so ein audiovisuelles Zeitzeugnis, das nach redaktioneller Bearbeitung im Internet veröffentlicht wird. In öffentlichen Clip-Shows werden die Filme den Zeitzeugen, Schulkolleginnen, Eltern und weiteren interessierten Kreisen vorgeführt. Manch ein Zeitzeuge sieht dabei erstmals überhaupt eine Internet-Seite. Wenn LehrerInnen begründen, wieso sie die Geschichte des eigenen Landes episodenhaft und unter Beizug von Public History vermitteln, dann finden sie ganz unterschiedliche Argumente. Die einen wollen Kompetenzen im Umgang mit Zeitzeugen ausbilden. Andere heben die Medienbildung hervor: Die SchülerInnen würden auf diese Art lernen, ihr Smartphone sinnvoll für Gespräche mit Zeitzeugen sowie für die Produktion von Kurzfilmen zu nutzen. Auch das didaktische Prinzip der Narrativität wird angefügt: Wichtig sei doch, dass SchülerInnen selber zum Erzählen kämen, was mit diesen Kurzfilmen optimal umgesetzt würde. Wieder anderen ist die Schülerorientierung wichtig: Es sei im Geschichtsunterricht selten möglich, Themen zu unterrichten, die die SchülerInnen direkt betreffen würden. Das wichtigste sei schliesslich, dass die Inhalte die Lernenden interessiere, halten die LehrerInnen fest. Das ginge am besten mit gegenwartsbezogener Thematisierung von regionaler Alltagskultur, halt mit “Heimatkunde”, wie man das früher treffend bezeichnet habe. Renaissance von “Heimatkunde” in der Schule? Und in der Tat: Gerade bei der Vermittlung der Geschichte des eigenen Landes werden Fragestellungen und Themen bearbeitet, die früher in der Schule der “Heimatkunde” zugeordnet waren und heute in Wissenschaften wie der Ethnologie eine bedeutende Rolle spielen: Es geht erstens um kulturelle Phänomene der materiellen Kultur: alte Gegenstände, Arbeitsgeräte, Kleider, Nahrung, Lieder, Denkmäler. Es geht zweitens um Phänomene des Nahraums: das eigene Schulhaus, die eigene Gemeinde, die umgebende und sich verändernde Landschaft, Sagen und Mythen aus der Region, Bräuche, Festtage, die Menschen, die heute hier leben und früher hier gelebt haben und jetzt im Seniorenheim sind. Und es geht drittens um Eigenaktivitäten der SchülerInnen: Sie sollen handelnd lernen und selber auf eigenen Wegen Anschauungen gewinnen. Und wo bleibt die Kontextualisierung? Bauen die SchülerInnen überhaupt noch ein Narrativ zur Geschichte des eigenen Landes auf? Falls ja: welches Land betrachten sie als ihr “eigenes”, und welches Narrativ bauen sie auf? Falls nein, ist das schlimm oder gut? Und welche Beiträge zur individuellen oder sozialen Identität und zum kritischen historischen Denken leisten solche Lernszenarien? Schließlich: Wie werden die in einem Land als schwierig geltenden Themen behandelt? Trotz vieler gehaltvoller Studien und überzeugender Theoriebeiträge – vor allem auch in Public History Weekly, zum Beispiel von Stéphane Lévesque – wissen wir noch zu wenig, was genau bei der Vermittlung der Geschichte des eigenen Landes im Unterricht geschieht und welche Auswirkungen dieses Geschehen auf die Beteiligten und die Gesellschaft hat. Zeit also, dies noch intensiver zu erforschen – gerade auch angesichts des zunehmenden Nationalismus in Europa und der Welt. Mario Carretero / Mikel Asensio / Maria Rodriguez-Moneo (Hrsg. ): History Education and the Construction of National Identities. Charlotte NC 2012. Terry Haydn: History in Schools and the Problem of “The Nation”. In: Education sciences 2012, 2, 276-289. doi:10.3390/educsci2040276. Floor van Alphen / Mario Carretero: The Construction of the Relation Between National Past and present in the Appropriation of Historical Master Narratives. In: Integrative Psychological Behaviour, 49 (2015), S. 512-530. Website des Oral History-Projektes mit Smartphone oder Tablet, das im Artikel beschrieben ist: www.zeitmaschine.tv (letzter Zugriff 15.03.2017). Ein Anwendungsbeispiel von Augmented Reality: http://www.digitalbuzzblog.com/union-station-augmented-reality-living-history-tours-app/ (letzter Zugriff 15.03.2017). Zum Aufbau des klassischen Meisternarrativs in der Schweiz, siehe: Markus Furrer: Die Nation im Schulbuch – zwischen Überhöhung und Verdrängung. Leitbilder der Schweizer Nationalgeschichte in Schweizer Geschichtslehrmitteln der Nachkriegszeit und Gegenwart. Hannover 2004. Zu Narrativen nationaler Geschichtsschreibung und Erinnerungskonstruktion, siehe: Franziska Metzger: Geschichtsschreibung und Geschichtsdenken im 19. und 20. Jahrhundert. Bern / Stuttgart / Wien 2011. Zum Wandel des Schweizer Narrativs, siehe: Markus Furrer: Die Schweiz erzählen – Europa erzählen – die Welt erzählen …: Wandel und Funktion von Narrativen in Schweizer Geschichtslehrmitteln. In: Schweizerische Zeitschrift für Geschichte (1) 2009, S. 56-77. Vgl. auch: Guy P. Marchal: Schweizer Gebrauchsgeschichte. Geschichtsbilder, Mythenbildung und nationale Identität. Basel 2006. Oder neuer: Maissen, Thomas: Schweizer Heldengeschichten – und was dahintersteckt. Baden 2015. Hier könnte eine ganze Reihe von Comics aufgezählt werden. Beispielhaft sind dies: Martin Weiss / Robert Willi: Die Munggenstalder und der Klostersturm. Schweizer Geschichte(n) Band 1. Zürich 2015. Marien Wenger: Bruder Klaus – Eine erstaunliche Geschichte aus dem Mittelalter. Gonten / Appenzell 2016. Auch hier gibt es viele Beispiele, nur schon von c-films: https://www.c-films.com/ (letzter Zugriff 15.3.2017). Vgl. etwa das Schulmaterial zu „Akte Grüninger. Die Geschichte eines Grenzgängers“: http://grueninger-film.com/schulmaterial/ (letzter Zugriff 15.3.2017). Vgl. dazu z.B. : Stefanie Samida: Materielle Kultur – und dann? Kulturwissenschaftliche Anmerkungen zu einem aktuellen Trend in der Zeitgeschichtsforschung. In: Zeithistorische Forschungen/Studies in Contemporary History, Online-Ausgabe, 13 (2016), H. 3, URL: http://www.zeithistorische-forschungen.de/3-2016/id=5406 , Druckausgabe: S. 506-514. Vgl. z.B. Carla L. Peck: Peering through a kaleidoscope: Identity, historical understanding and citizenship in Canada. Citizenship Teaching and Learning, 5 (2), 2009, 1-15. Oder: Floor van Alphen / Mario Carretero: The Construction of the Relation Between National Past and present in the Appropriation of Historical Master Narratives. In: Integrative Psychological Behaviour, 49 (2015), S. 512-530. Vgl. die oben erwähnte Literatur. Stéphane Levesque: Should History Promote National Identification? In: Public History Weekly 5 (2017) 10, DOI: dx.doi.org/10.1515/phw-2017-8533. Auch: Peter Gautschi: Der Einbürgerungstest. Geschichte als Eintrittskarte? In: Public History Weekly 2 (2014) 27, DOI: dx.doi.org/10.1515/phw-2014-2345. Gautschi, Peter: Wie soll die Geschichte des eigenen Landes vermittelt werden? In: Public History Weekly 5 (2017) 13, DOI: dx.doi.org/10.1515/phw-2017-8987. Peter Gautschi legt mit seinem Initialbeitrag m.E. nach geradezu ein didaktisches Paradebeispiel und ein schönes Plädoyer für ein renoviertes historisches Projektlernen vor. Eine große Frage (Wie Geschichte unterrichten?) 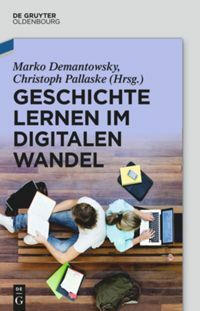 wird mit wenigen, gegenwartsrelevanten schüler- und lehrerorientierten “good-practice”-Beispielen beantwortet. Die von ihm vorgenommene Umschreibung des Möglichkeitsraumes Geschichtsunterricht als Ort historischen Lernens mit und anhand geschichtskultureller Objektivationen, lässt die Traditionen des historischen Projektlernens in einem neuen, pragmatischeren Licht erscheinen. Zwar steht der Königsweg noch in Fragezeichen, aber man kommt nicht auf den Gedanken, den Hinweis auf den “Größenwahn” zu vermissen. Der vielfach eingeforderte “Brückenschlag zwischen Lebenswelt und Geschichte”, um eben schulisches historisches Lernen schülerInnenorientierter zu gestalten, scheint mit dem konsequenten Einbezug kultureller Phänomene der materiellen Kultur des Nahraumes realisierbar zu sein. Denn dieser den SchülerInnen mehr oder weniger vertraute Nahraum setzt sich aus verschiedenen erzählten und nicht-erzählten Geschichten zusammen: “Wir sind alle in Geschichten verstrickt”, schrieb einmal Wilhem Schapp. Der Hintergrund unserer individuellen Geschichtsbilder sind Geschichte(n). Zum einen die offiziellen und professionellen Geschichten und Masternarrative, zum anderen aber auch die vielfältigen Geschichten, wie sie von den Bewohnerinnen und Bewohnern der verschiedenen Nahräume erzählt werden. Beiden Erscheinungsformen von Geschichte(n) ist – trotz aller Unterschiede – eines gemeinsam: Geschichten werden immer für jemanden erzählt. Nicht-erzählte Geschichten werden nicht gehört. Das von Gautschi angeführte Beispiel rückt diese narrativen Verstrickungen ins Zentrum historischen Lernens, wenn sich die SchülerInnen auf die Suche nach diesen “unerhörten” Geschichten der “kleinen Leute” machen und diese mittels gegenwärtiger Medientechnologie in neue und andere Formate transformieren. Das „Grabe, wo du stehst“ wird zum zeitgemäßen “Erzähle, was du hörst”. Mit der Hinwendung zum Nahraum und zu den heterogenen “Heimatgeschichten” wird nicht zuletzt auch ein Plädoyer erneuert, das Gerhard Schneider mit seinem “alternativen Curriculum” Ende der neunziger Jahre des 20. Jahrhunderts als Vorschlag zur “Revision des traditionellen Stoffkanons und dessen Ablösung durch anthropologische und symbolische Themen”  gehalten hat, um Geschichtsunterricht auch für eine nicht-gymnasiale SchülerInnenschaft qualitätsvoller, also effektiv in Bezug auf die SchülerInnenleistungen und gut im normativen Sinne zu gestalten. Borries, Bodo von: Historische Projektarbeit. „Größenwahn“ oder „Königsweg“. In: Dittmer, Lothar; Siegfried, Detlef (Hrsg. ): Spurensucher. Ein Praxisbuch für historische Projektarbeit. Überarb. u. erw. Neuauflage. Hamburg 2005, S. 333-350. Kuss, Horst: Geschichtskultur im Geschichtsunterricht. Eine neue Chance für historisches Lernen. In: Geschichte, Politik und ihre Didaktik 29 (2001) 1/2, S. 10-21, hier S. 11. Lindqvist, Sven: Grabe wo du stehst. Handbuch zur Erforschung der eigenen Geschichte. Bonn 1989. Schneider, Gerhard: Ein alternatives Curriculum für den Geschichtsunterricht in der hauptschule. Ein Diskussionsbeitrag. In: Geschichte in Wissenschaft und Unterricht 51 (2000) 7/8, S. 406-417, hier S. 409. In my opinion, with his original contribution Peter Gautschi presents a downright didactical textbook example and clear plea for a revised historical project-oriented learning. A great question (How should history be taught?) is answered with a few student and teacher-centered good-practice examples relevant to the present day. How Peter Gautschi describes the space of possibilities given in history teaching as a place of historical learning with and by means of historical-cultural objectivations lets appear the traditions of historical project-oriented learning in a new, more pragmatic light. Even though the royal road still raises question marks, one, however, does not get the idea of missing the reference to “megalomania”. The often demanded “bridge building between lifeworld and history”, in order to just exactly create school historical learning more student-centered, seems to become feasible by consequently including cultural phenomena of the material culture of the close environment. Since this close environment more or less familiar to the students is made up of different told and untold histories: “All of us are entangled in histories”, Wilhem Schapp once wrote. The background of our individual historical views are histories. On the one hand, the official and professional histories and master narratives, but, on the other hand, also the multi-faceted histories and the way they are narrated by the inhabitants of the different close environments. Both manifestations of histories – despite all the differences – have one thing in common: Histories are always told for someone. Untold histories are not heard. The example mentioned by Peter Gautschi puts these narrative entanglements in the center of historical learning when the students set out in search of these “unheard” histories of the “small people” and when they transform them into new and other formats by means of present-day media technology. The motto “dig where you are standing” becomes the modern “tell what you are hearing”. By orienting towards the close environment and towards the heterogenous “local histories” a plea is not least renewed which Gerhard Schneider made with his “alternative curriculum” at the end of the nineties of the last century as a proposal for the “revision of the traditional canon of school content and its replacement by anthropological and symbolical issues” in order to design more high-quality history teaching also for a non-grammar-school student body, thus effective with regard to student performance and good in a normative sense. Bodo von Borries, “Historische Projektarbeit. Größenwahn oder Königsweg.” In: Spurensucher. Ein Praxisbuch für historische Projektarbeit, edited by Lothar Dittmer and Detlef Siegfried, 333-350. Hamburg: Ed. Körber-Stiftung, 2005. Horst Kuss, “Geschichtskultur im Geschichtsunterricht. Eine neue Chance für historisches Lernen,” Geschichte, Politik und ihre Didaktik 29 (2001): 10-21, here: 11. Sven Lindqvist, Grabe wo du stehst. Handbuch zur Erforschung der eigenen Geschichte. Bonn: Dietz, 1989. Gerhard Schneider, “Ein alternatives Curriculum für den Geschichtsunterricht in der Hauptschule. Ein Diskussionsbeitrag,” Geschichte in Wissenschaft und Unterricht 51 (2000): 406-417, here: 409. Public History macht das Fach Geschichte fassbar. Geschichtsunterricht so zu gestalten, dass die Schülerinnen und Schüler angesprochen werden, gehört zu den schwierigsten didaktischen Herausforderungen. Es ist eminent wichtig, den Schüler zu involvieren, ihn mit der Gegenwart zu konfrontieren, bevor man in die Vergangenheit zurück reist. Eine ältere Person zu treffen – in eine Gegenwartsbeziehung zu treten – um dann dieser Person zuzuhören, was sie als Betroffene aus der Vergangenheit erzählt, berührt die Mehrzahl der Schülerinnen eher, als alles nur aus den Lehrbücher zu erfahren. Durch die erzählte Geschichte wird der Schüler in die Erfahrungen der befragten Person eingebunden. In der Folge wird die Schülerin eher bereit sein in der Thematik zum Lehrmittel zu greifen und die gemachte Erfahrung, die durchaus gefärbt sein kann, zu vertiefen. Die Schülerin, die dieses Interview durchführt, wird aber in verschiedenen Kompetenzen geschult. Sie muss die Fragen vorbereiten und sich diagonal ins Thema einlesen. In der Folge kontaktiert sie entsprechend ihrem Thema interessante Interviewpartner, trifft diese und bringt ein Gespräch in Gang, wo sie die Gesprächsführung inne hat. Sie muss ein Aufnahmegerät bedienen (Handy), die Aufnahme auf den Computer transferieren und kürzen. Sie braucht dazu technische Fähigkeiten, muss aber auch das Thema überblicken, da sie nun Wichtiges von Unwichtigem unterscheiden muss. Danach muss die Schülerin das Thema in ein Ganzes einbetten und das “Produkt” an andere reihen. Das heisst, sie muss weiterführende Literatur dafür verwenden. Das und nichts anderes ist das, was der Lehrplan 21 vermittelt: der Kompetenzen orientierte Unterricht! The issues raised in this article are very interesting, pertinent and current. To my mind the insightful construct shows the existence of a master narrative for the history of one’s country (the example of Switzerland). 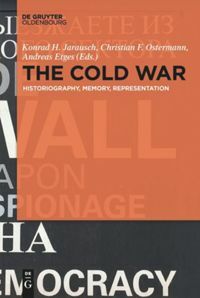 While admitting the persistence of variants which call to question the relevance and utility of this master narrative and hence point to the need for more and varied reflections, we note that in other areas the construction of a “master narrative” is still an ongoing project which interestingly is challenged and threatened by historical facts and processes! One interesting question revolves around the initial consensus on what may be defined as one’s own country, as well as the way time and historical circumstances affect the validity of such a definition. Will the teaching of the history of one’s country not increasingly be influenced by local, national, global or other contextual goals? Peter you are right, there are more experiences which when researched will further enlighten the subject matter! Prof. Dr. Peter Gautschi überzeugt mit seinen Überlegungen zur Geschichtsdidaktik. Eigentlich müssten sich seine Anregungen, wie Geschichtsunterricht gestaltet werden sollte, wie ein Lauffeuer in allen Schulhäuser ausbreiten. Schülerinnen und Schüler entwickeln mit Smartphones, das sie ohnehin fast immer bei sich haben, eine Vielzahl an Kompetenzen – projektbezogen, handlungsorientiert, lebensnah und mit viel Freude. Es gefällt mir, dass der Autor das Projekt “Zeitmaschine.TV” ausführlich darstellt. Schülerinnen und Schüler befragen zu zweit, mit Smartphone oder Tablet ausgerüstet, Zeitzeugen zu ihren persönlichen Erinnerungen, fügen Fotos und weitere Materialien ein und erstellen Kurzfilme, Clips, die sie dann Interessierten zeigen, alles begleitet von einer regen Medienberichterstattung. Das ist exemplarische Medienbildung, die Kopf, Herz und Hand gleicherweise fördert. Erworben werden Kompetenzen der Interviewführung, der ausgewogenen Berichterstattung, der quellenkritischen Suche nach Fotos und weiteren Materialien, und natürlich auch des technischen Handlings. Zudem erhalten die Schülerinnen uns Schüler Einblick in jüngste geschichtliche Ereignisse, was vielfach im Unterricht zu kurz kommt. Die Schweizerische Stiftung für audiovisuelle Bildungsangebote stellt an ihren jährlichen Tagungen innovative Bildungsprojekte vor, um sie besser bekannt zu machen, dies in der Hoffnung, dass sie „Schule machen“. Hinter Zeitmaschine.TV stehen wie immer einzelne Pioniere, hier Christian Lüthi, und diese müssen – wie Startups – zuerst sichtbar gemacht und dann mit Ressourcen von Dritten gefördert werden. Die SSAB als Stiftung muss sich leider mangels eigener Ressourcen auf eine ideelle Förderung beschränken. Zeitmaschine.TV ist eine der rund 80 Mitgliedsorganisationen der SSAB, und sie nutzt den intensiven netzwerkinternen Austausch von Ideen und Erfahrungen. Aber warum haben es vielfach sehr gute Pionierprojekte trotzdem schwer, im Schulalltag den Funken überspringen zu lassen – sich zum Lauffeuer, zum Selbstläufer zu entwickeln? http://www.zeitmaschine.tv/ (letzter Zugriff am 14.04.2017). http://www.ssab-online.ch/ (letzter Zugriff am 14.04.2017).